We’re deep into festival season, struggling to keep our heads about an endless sea of body chains, matching crop-top-and-shorts-sets, sole-sucking fields of mud, blurry tattoos, overpriced beers, and nineteen year olds on molly. Over here at the old soda mines, we’re free to train our eye on some of the more unusual and underground festivals that are taking place this summer. 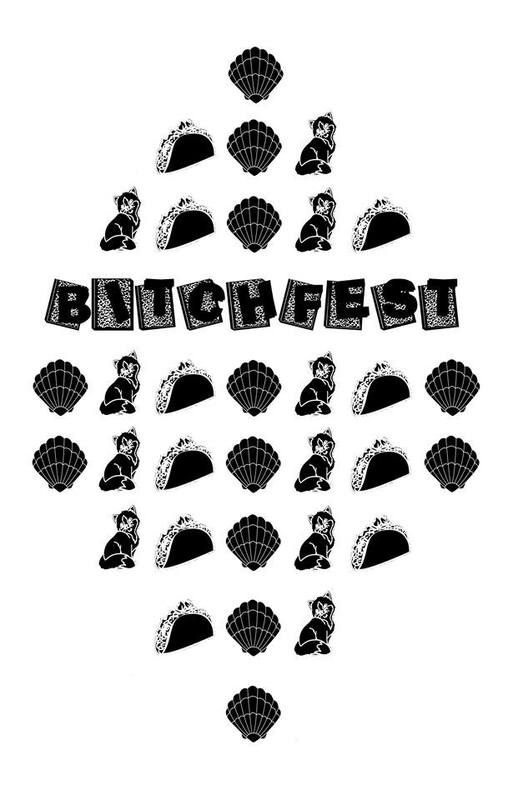 Bitchfest aims to celebrate women and their work, but is inclusive of “all Chicago’s brilliant and resilient artists, musicians and writers who tirelessly use creative mediums to express what it means to live in this beautifully fucked-up world.” More than just a stacked bill of not-all-dudes bands, DIY space Young Camelot aims to offer a film program, live screenprinting, zines, murals, and art. Daily schedules have not yet been finalized, so keep an eye on the Facebook event for more specifics. If you read enough of this website, you’ve probably gleaned that I have a weakness for good ole three-chords-and-two-toms rock’n’roll. This is because I am dumb and I have bad taste. However, perhaps you have more sophisticated tastes: a palate that can accommodate gauzy shoegaze guitar, krauty synths, and meandering prog. 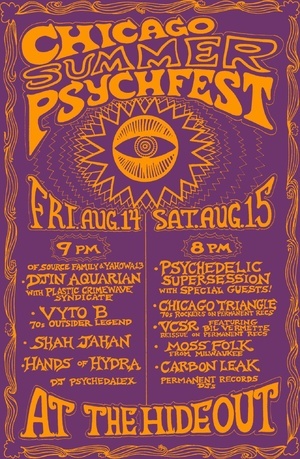 If that’s the case, my dear, you’re in luck: for the seventh year running, the Hideout is bringing you Chicago Summer Psych Fest, with some superstars and heavy hitters in the line-up. 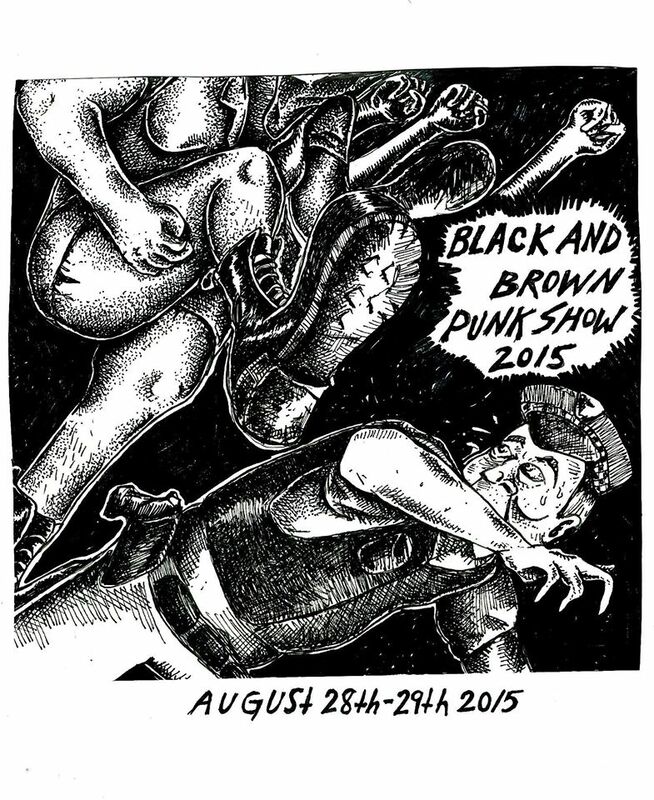 Black and Brown Punk Show is an annual festival highlighting the black and brown, queer and trans DIY punk scene in Chicago. The collective wants to create a safer space to push back against oppression, bond over a shared sense of struggle, and celebrate the creativity of black and brown musicians, artists, and educators. ← Punk or Bunk #1 Answers & Winner!